In early 2015 I helped lead a rebranding effort for Compass, a real-estate tech startup founded in New York City in 2013. Our team took inspiration from the rich visual language of cartography and wayfinding, and focused on ways to incorporate pattern as color in the black and white palette. One of my priorities was developing a flexible design system that could be used consistently across the digital product design team and the marketing creative team. I illustrated a full set of icons based on the sharp lines and angles of the new Compass logo. We developed a flexible secondary logo system: a circle + a texture + a North-East facing needle. That year, the company expanded to include an office in Washington. D.C. I drew this set of homes to announce the expansion, and to set a standard for brand illustration. 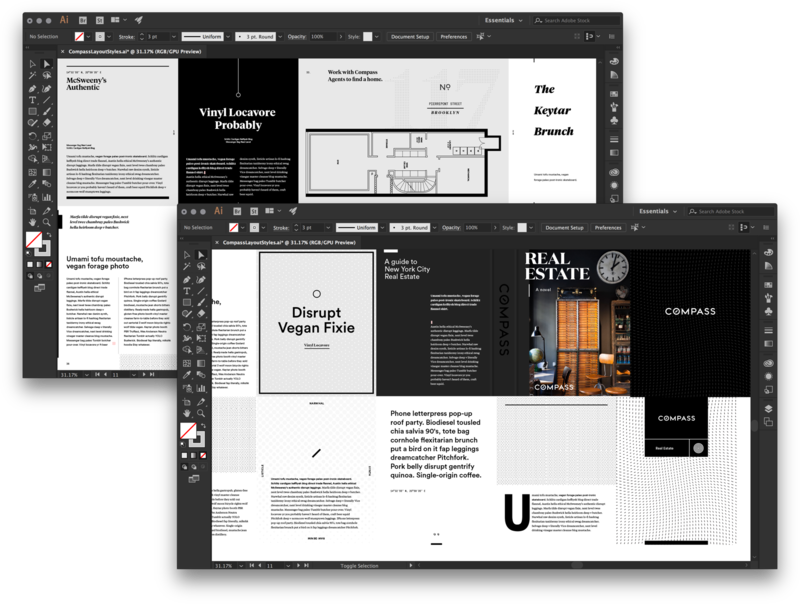 In order to design a full visual language, I developed a library of styles for designers across teams and time zones to use as inspiration. 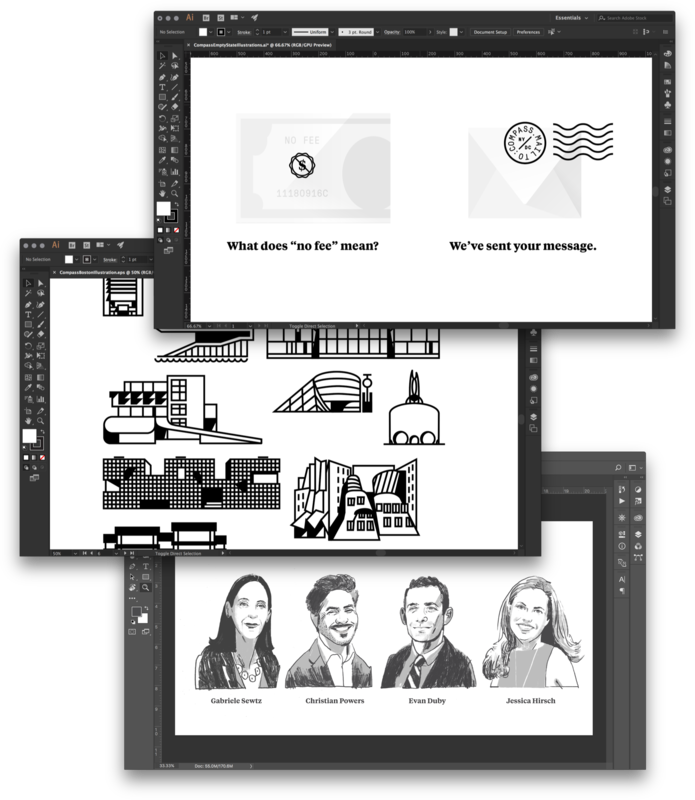 The brand continued to come to life through illustration: empty states in the web UI, architectural landmarks, portraits of some of the agents on the team. Compass wordmark initially created by RoAndCo Studio. Read Armin Vit's review of this stuff on Brand New!